This article examines the determinants of home ownership among young people in China. More specifically, it aims to shed light on the shifting importance of the state (through ‘redistributive power’) and the ability of young people to compete in housing markets (‘market ability’) after more than three decades of market transition. Through an analysis of data from the China General Social Survey, the paper quantifies the impacts of four types of determinant on young people’s access to homeownership: political affiliation, organizational affiliation, territorial affiliation, and market ability. Results show that a redistributive power (through territorial, political and organizational affiliation) still influences access to housing, mainly in the form of territorial affiliation (hukou registration). Higher market ability does not contribute to homeownership but is related to independent living. 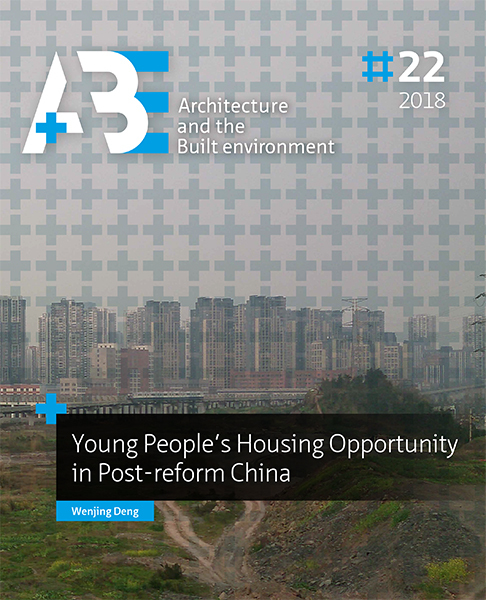 The paper points to three housing policy priorities to improve young people’s housing opportunities: reduce inequalities resulting from unequal access to homeownership, improve options for young migrants, and improve conditions in the rented sector. DENG, Weijing; HOEKSTRA, Joris; ELSINGA, Marja. The Changing Determinants of Homeownership amongst Young People in Urban China. A+BE | Architecture and the Built Environment, [S.l. ], n. 22, p. 75-96, dec. 2018. ISSN 2214-7233. Available at: <https://journals.open.tudelft.nl/index.php/abe/article/view/3520>. Date accessed: 26 apr. 2019. doi: https://doi.org/10.7480/abe.2018.22.3520.